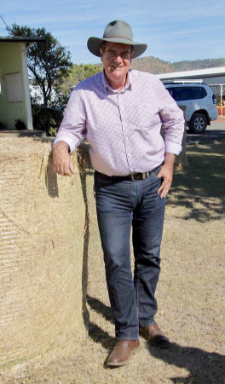 THE Palaszczuk Government has moved to crack down on animal rights activists who invade farms and meatworks following disruptive protests on the Darling Downs and Southern Queensland last Monday. Before the end of the month, militant animal rights activists will face $652.75 fines issued either on the spot or later after review of evidence from the protest site, the Queensland Government said in a media statement on Sunday. Move the decimal point to the right. The punishment will have effect. The penalties for the organisers needs to be far more severe. A $652 fine for the manipulated masses might seem stiff, but there are supportive organisations which will pay their fines for them anyway, or as already pointed out, the fines will be ignored. It is the organisers who need to be targeted, and their activities should be classified as attempted biosecurity incursions, and dealt with accordingly. The potential consequences of these invasions is frightening, given the cost of managing an incursion across a region. It’s about time. When will the rest of the country going to wake up and stop these brainless pests before someone gets badly hurt or killed.